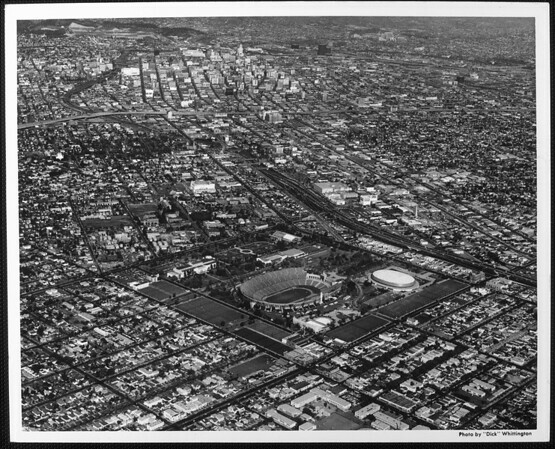 Aerial view facing northeast over Exposition Park looking into Downtown Los Angeles. The Coliseum Sports Arena, Natural History Museum, Botanical Gardens, Museum of Industry and Science are located in Exposition Park. University of Southern California (USC) sits to the north of the park. Downtown Los Angeles is in the distance, as is Chavez Ravine.